Kotobukiya has revealed their fully painted statues from Devil May Cry 5. Previously, we had only seen unpainted prototypes. During the Miyazawa Model Spring Exhibition 2019, both Dante and Nero were revealed as part of the ARTFX J Statue line. The 1/8 scale statues should stand about 9″ to 10″ tall. The photos come courtesy of Amiami Hobby News. We will update with further details from Koto once they become available. See the photos after the jump. 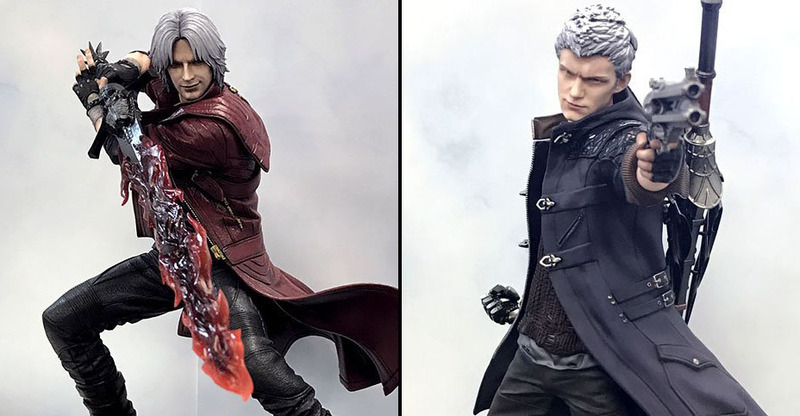 The post Devil May Cry 5 – Nero and Dante Statues by Kotobukiya appeared first on The Toyark - News.